DO I HAVE TO REIMBURSE MY HEALTH INSURANCE COMPANY AFTER RECEIVING A BODILY INJURY SETTLEMENT? When individuals involved in automobile accidents are injured by another party’s negligence, the injured party may be able to make a claim for bodily injuries he or she has sustained. The ability to recover compensation for injuries is based on a variety of fact-specific considerations, including the severity of the injury sustained, the length of any pain and suffering incurred as a result of the accident, out-of-pocket expenses, lost earnings, as well as the limits of coverage on the responsible party’s insurance policy. If you have been injured through no fault of your own, contact an experienced personal injury attorney to discuss the facts of your case. The total amount of compensation or recovery that may be obtained for a bodily injury claim is based on a variety of factors. This means that this process may take some time for an attorney to determine the total value of a claim. You will first need to reach a medical end point, or have sufficiently recovered from an injury, before your possible compensation can be determined Arriving at a medical end point usually means that there are no further improvements are expected in an injured person’s condition, even though he or she may never be able to fully return to their exact physical condition before the accident occurred. Before individuals who are involved in automobile accidents in New Hampshire finalize their bodily injury claims, they typically undergo substantial medical treatments in order to address their injuries. The costs of such medical treatment can be high and can mount quickly as treatment is provided. Individuals who are involved in automobile accidents in New Hampshire typically rely upon three sources of funds to pay medical bills –their health insurance carrier, their automobile insurance carrier, and the automobile insurance carrier of the person or entity responsible for the accident. In the first instance, medical bills are typically sent to one’s own automobile carrier for payment, under the medical payment provision of the policy. In New Hampshire, automobile insurance policies typically contain a medical payments provision, which is known as a “med-pay” provision. Med-pay provisions typically provide for at least $1,000 of coverage to address medical costs incurred by injury victims. Medical bills not covered by your medical payment policy are typically sent to the health insurance carrier. The automobile insurance carrier of the person responsible for the accident usually will not pay any medical bills up front, but will withhold payment until the claim process is complete. Health insurance carriers typically have a right to seek reimbursement for medical bills that they paid on behalf of an injured party. Once the injury claim is settled, the health insurance company will expect to be fully compensated. In contrast, med-pay payments provided from an individual’s own automobile insurance carrier are typically not subrogated. 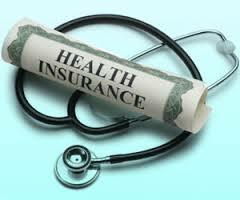 Coordinating benefits between med-pay provisions, health insurance providers, as well at the at-fault insurance company can be a complicated process, and is one best left to an experienced personal injury attorney. Contact an experienced accident attorney to determine if your health insurance paid medical bills require reimbursement from any bodily injury compensation or settlement that you receive. There will be a variety of legal issues that will need to be addressed before the settlement and payout of any compensation.